Send a cute and cuddly gift with the Classic Bud Vase Roses with Bear. Created by a local florist partner with three long-stemmed roses, which are paired with white monte casino in a cute vase. 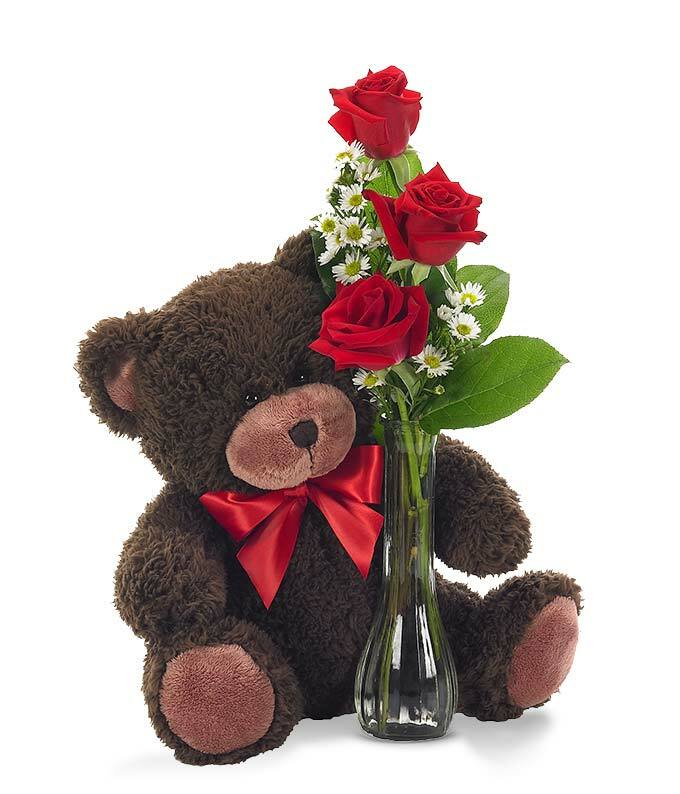 The red roses, which are perfect to send to a loved one who is dear to you are paired with the cutest plush teddy bear. The Classic Bud Vase Roses with Bear is a great gift to send to your daughter at school or to your loved one at home. Available for same day delivery.